Why should we not drink the Kool-Aid? 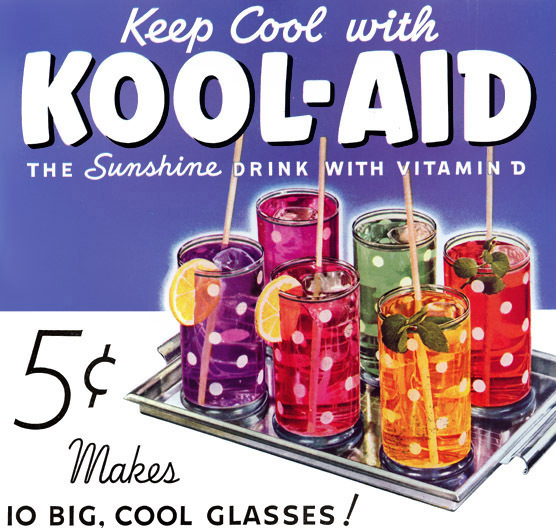 Warnings about 'drinking the Kool-Aid' are not part of some dreary anti-obesity drive. They refer to the grim events at the 'Jonestown' commune in Guyana in November 1978, where cult leader Jim Jones induced the -murder/suicide of 918 of his followers as the authorities closed in. The Kool-Aid reference is to a sweet, fizzy drink laced with poison which senior figures in the commune persuaded members to drink. Though there was also violent coercion, some victims seem to have taken the drink voluntarily. 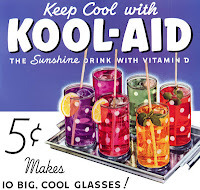 The company producing Kool-Aid have been understandably reluctant to have their product associated with the Jonestown massacre ('a popular misconception') - though there is macabre humour to their pointing out the deadly concoction was based on a 'cheap imitation' of KA.